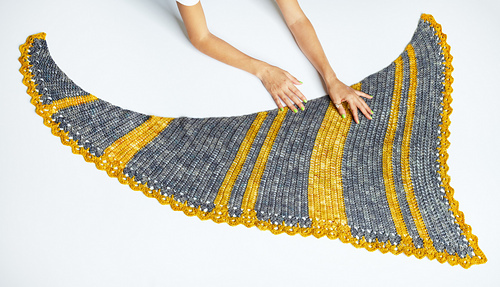 The Unfurled Beauty is an asymmetrical triangle shawl where a portion of the edging is completed along with the body of the shawl. 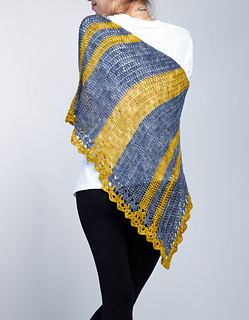 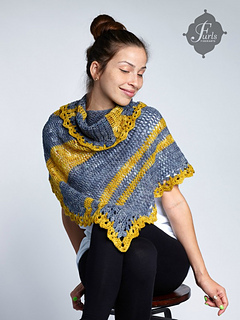 The Unfurled Beauty Shawl is the very first Furls CAL. 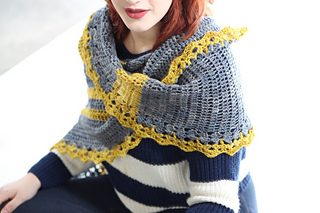 Designed by Lorene Eppolite of Cre8tion Crochet. 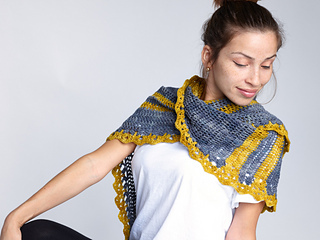 Easy- Projects uses yarn with basic stitches, repetitive stitch patterns, simple color changes, and simple shaping and finishing.